Presentation slide introducing the Technology Integration Matrix Observation Tool. This technology integration observation instrument is one component of the TIM Tools suite. It is a flexible tool for classroom walkthroughs that can be used for formative feedback, peer coaching, grant evaluation, or professional development planning. 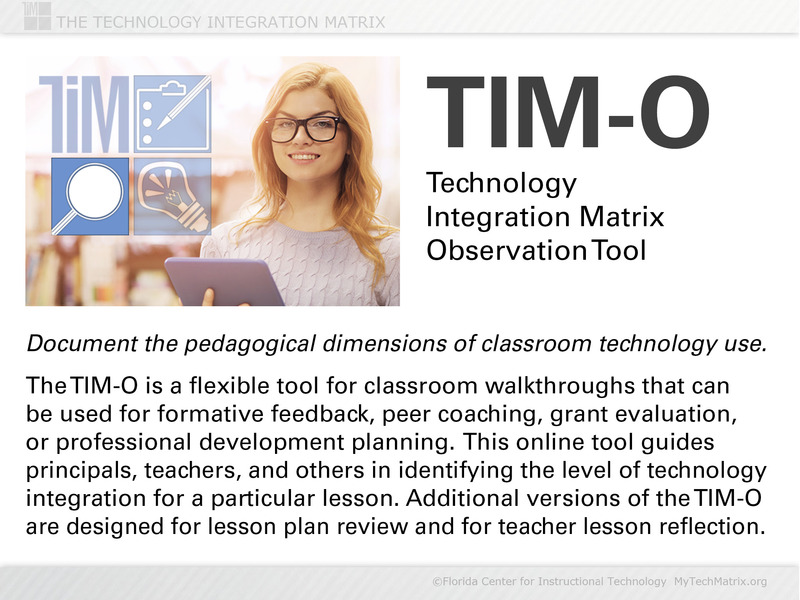 The TIM-O is a flexible tool for classroom walkthroughs that can be used for formative feedback, peer coaching, grant evaluation, or professional development planning. This online tool guides principals, teachers, and others in identifying the level of technology integration for a particular lesson. 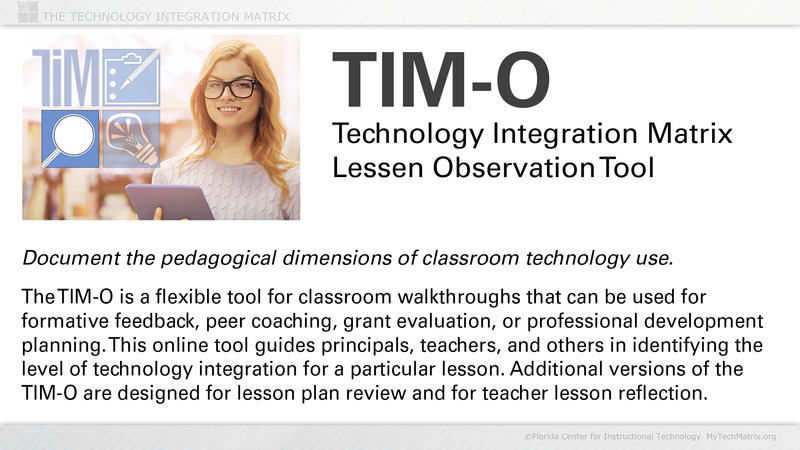 Additional versions of the TIM-O are designed for lesson plan review and for teacher self-reflection.